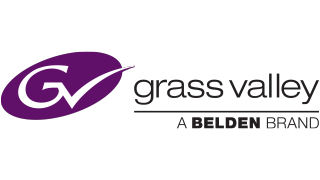 The partnership between Grass Valley, a Belden Brand, and Cisco continues with a new bundled product offering featuring Cisco Switches, now available directly through Grass Valley. As part of an integrated commercial off-the-shelf (COTS) IP approach, the Cisco Nexus 9200 and 9300 kits provide the COTS IP network infrastructure, licenses, and support required for all of Grass Valley’s IP-enabled products; not only do these solutions accelerate and ease installation and setup, they also ensure compatibility with Grass Valley’s IP Broadcast Data Center solutions. Cisco’s IP fabric for media solution expands—and in some cases, replaces—traditional baseband video routing in live, news, and content distribution applications with an IP-based infrastructure. When combined with Grass Valley’s IP-enabled cameras, servers, production switchers and other endpoint gear, it provides a tested solution for reliable audio, video, and ancillary data flows over an IP network. In addition to the Cisco Switch kits, Grass Valley will be reselling Data Center Network Manager (DCNM) which unifies and automates Cisco Nexus infrastructure for data center management across Cisco Nexus 9000 Series Switches. The DCNM server provides close control and monitoring of the IP fabric and will handle complex scenarios of varying flow sizes and multiple spines, while providing an interface to the GV Convergent control system for overarching transparent control of a hybrid SDI/IP network.